This design is now available on coffee mugs. coasters, hats and shirts. 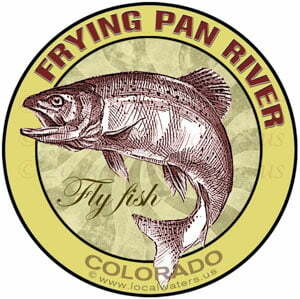 Purchase a custom item and include the river name with your order. Our stickers are designed and manufactured specifically not to harm paint on vehicles or gel coats on boats. OK for car washes and can be removed with no adhesive residue.